Two radically different individuals from radically different times but a singular truth remains that unites the two. You must be prepared to defend yourself and your interests should the need arise. 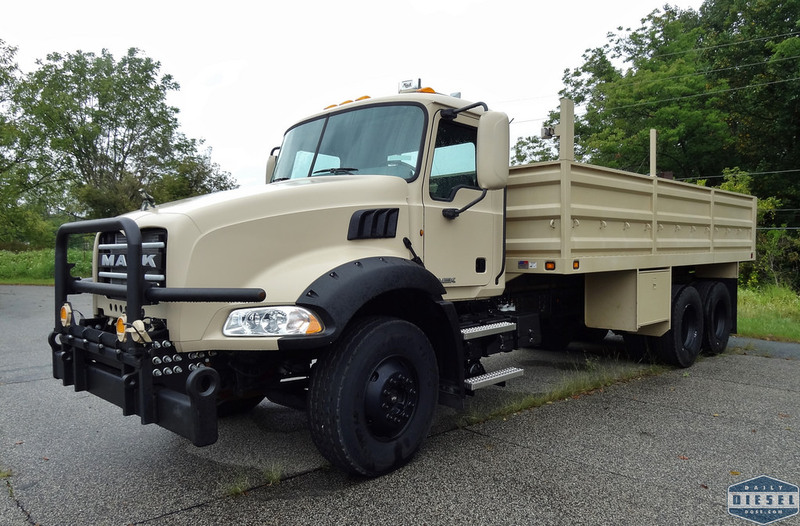 Mack Trucks has an arm of their company specifically devoted the production of unique military products and the conversion of domestic trucks to military uses. A few of these machines were on hand during Trucktoberfest. 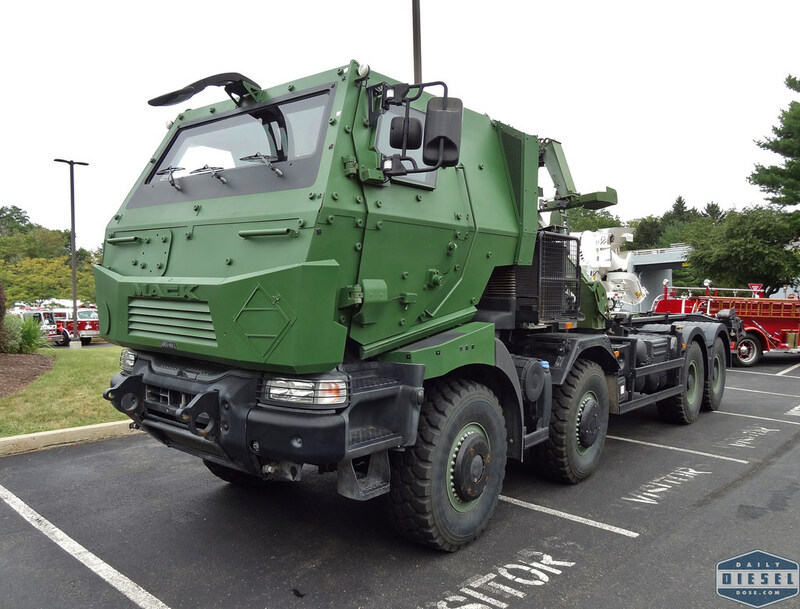 The Sherpa is Mack’s design take on the all purpose highly adaptable vehicle required by modern military forces. Powered by an inline 4 cylinder turbo diesel the Sherpa is highly capable with a full time 4×4 system working with a six speed Allison automatic. The Sherpa on display was wearing a funky fabric wrapping attached at various points with what appeared to be clips and velcro. 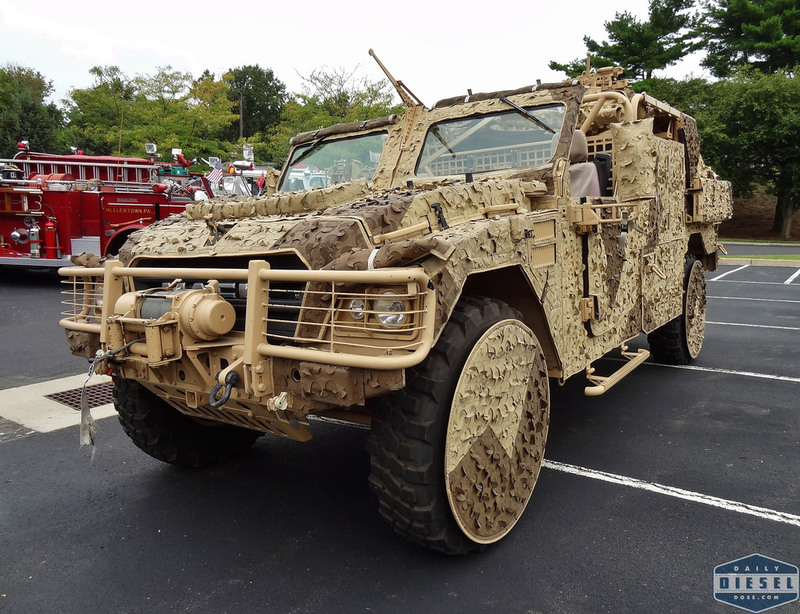 It’s basically a ghillie suit for a truck. For heavy loads you’ll need the Kerax 8×8. Just look at this guy parking in four parking spots! And people think BMW drivers are rude. A big old 6 cylinder diesel and a 16+2 mechanical transmission keep this lumbering beast moving at a brisk max speed of 70 mph. Out behind the mod center this interesting truck garnered a fair share of attention. While wearing a Mack grill all other components including suspensions, axles and interior cab pieces wore the Renault name. It’s interesting to note that Renault once owned a large majority of Mack. Today both companies are owned by Volvo. Oh the webs we weave. 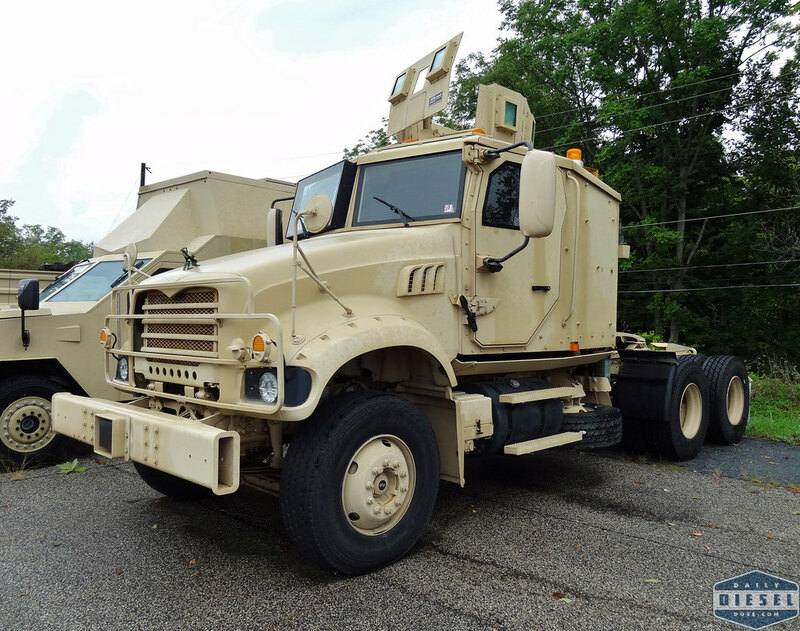 Below we have an example of a military commercial of the shelf vehicle or MILCOTS. 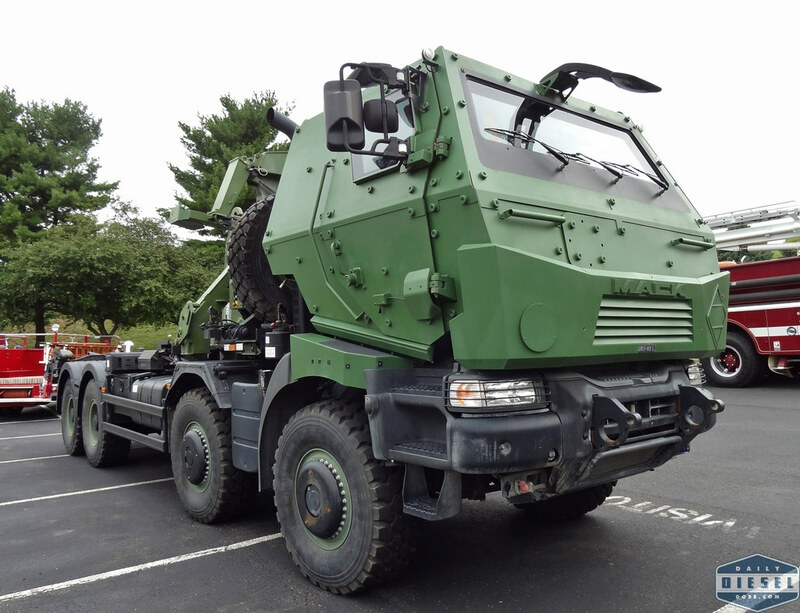 The ideal behind such a setup is to reduce the cost to armed forces by purchasing trucks easily mass produced by existing manufactures with a large spare parts network. Gotta save pennies when you can so you can buy $10,000 dollar toilets later. JOKE! Like the Granites you can buy from your local dealer this one comes complete with an MP8 under the hood and emission control equipment. And with these fine patriotic examples of trucks we conclude coverage of Trucktoberfest. What a fest it was. Next year I encourage you to attend. Bring your trucks. Hit the track. Meet friends. Eat fine foods. This entry was posted in Truck Show and tagged mach sherpa, mack kerax, mack milcots. Bookmark the permalink. 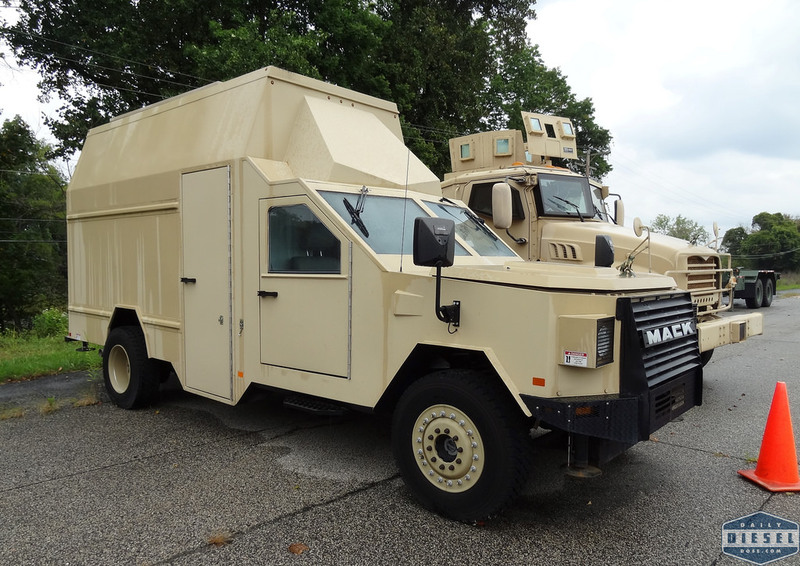 Looks like Mack has gone the way of many defence contractors, the rest of the world is their customers, not USDOD. The trucks are cool, but Mack is left to design trucks for foreign customers. 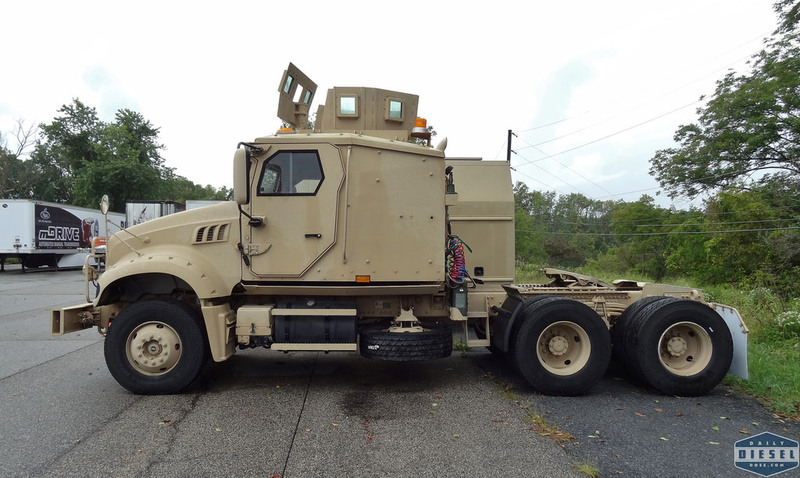 It is sad that the maker of WW I Bulldog truck of the US Army, is now a second to AM General & Oshkosh. 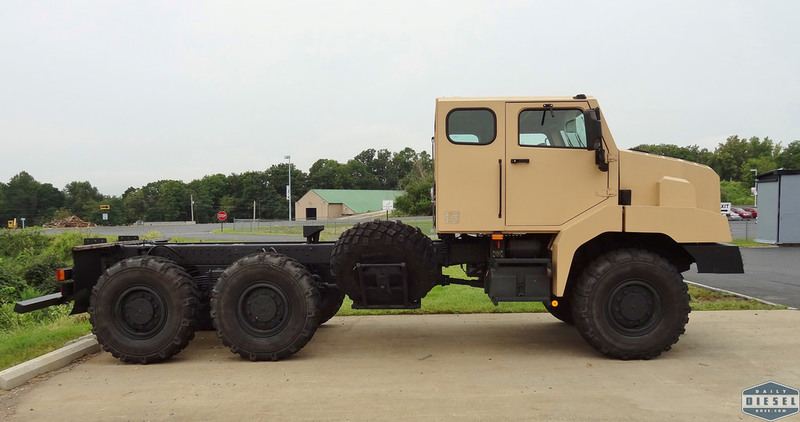 But on a more positive note, Mack is trying make smaller trucks like they use too when they produced the Mack Jr.
With the process a manufacturer has to go through to build a vehicle that will survive the years of tests, political blundering, changing requirements, and exhaustive list of capabilities it’s a wonder the DOD has anything in their fleet.